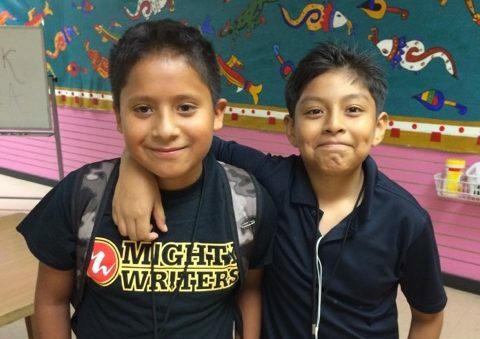 Join our Mighty Monthly Donor Program and keep Mighty Writers free for every child that walks through our doors. Recurring monthly donations are the best way to enable lasting support for the more than 3,000 kids who take part in Mighty Writers programs. It’s easy and convenient. You can choose how you want to give — through your bank account or credit card. And you can change, suspend or cancel your gift anytime. It’s the most efficient way to give. You’ll reduce our mailing and administrative costs, putting your gifts to work helping Mighty Writers every day. Please join our committed community of Mighty Monthly Donors and make a lasting impact on a Mighty Writer today. Prefer to Donate Consistently on a Quarterly or Annual Basis?